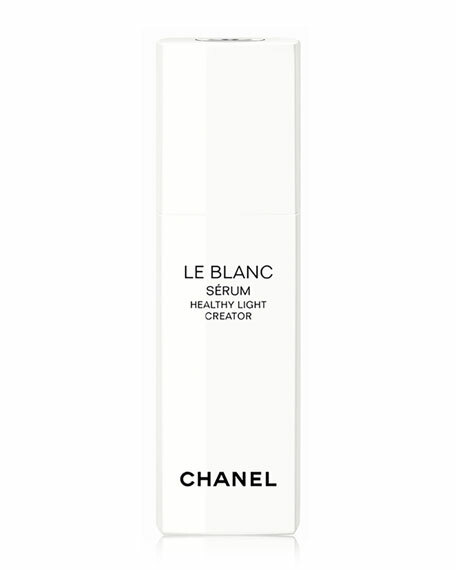 A three-in-one serum that revitalizes, brightens and restores the complexion. The light, delicately textured formula offers an immediate freshness and a luminous finish while reducing the appearance of dark spots by 36%*. Suitable for all skin types. Formulated with TXC and Ume Flower Extract**, the serum promotes skin's resistance to both internal and external stressors. Fine pearl protein and nourishing oils complement the powerful brightening action by delivering optimal comfort and hydration. *Clinical evaluation on a volunteer panel of 32 women who applied the serum for 8 weeks. **Extracted from the most premium variety of Ume Flower cultivated in a designated field owned by Chanel using a specific process. Apply before moisturizer in the morning and evening to face, eye contour and neck.